Searching for a good dentist for your family can often prove to be a challenging task. 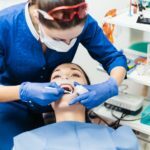 Below you will read about six different methods that can help you find a trustworthy family dentist in Deerfield Beach that you can schedule an appointment with to serve the dental needs of your entire family. Depending on the details of your insurance coverage, your insurer may have a pre-approved list of dentists in your area. It will certainly save you some time in your search for a dentist to focus from the outset on those that your insurer will work with! In smaller communities, in fact, you may find yourself limited to just a few options. Your doctor is an excellent resource for advice on picking a dentist. He or she probably has patients spread across many of the area’s different dentists, and the close doctor/patient relationship has probably allowed your doctor to learn a great deal about patient experiences at the different dentists’ offices in your area. Doctors may also have useful professional insight to share based on what they’ve heard in the local medical community. If you have trustworthy friends or family members in the same community, they may be able to give you useful advice on selecting a dentist. If you’ve just arrived in a brand new area, your new neighbors may have similar insights to offer you. One great factor about collecting opinions from dental patients you know is that you get less bias than you might find in anonymous reviews. If your cousin is a dental hygienist, for instance, you know in advance that their advice might be in favor of the dentists they work with. While the internet will deliver the widest possible range of reviews to you, you always have to bear in mind that many of them may be colored by ulterior motives. A useful rule of thumb is to place more emphasis on middle-of-the-road reviews than the very best and worst reviews a given dentist receives. Remember that there are two sides to every story, and while there are bad dentists out there, there are also bad patients whose experiences won’t reflect on yours. Exercise some common sense when you review the complaints leveled against a dentist in online reviews. Reviewers who complain about the difficulty of driving to the office or the inconvenience of having dental work done aren’t really telling you anything about the specific dentist. 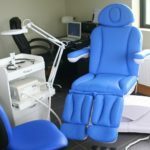 Learn to sift genuine complaints – like appointments regularly taking longer than expected – from the noise that applies to all dentists in general. Don’t make a final choice of dentists until you’ve looked up the office on a mapping service. How close is the dentist to your home, your place of business, and your children’s schools? Look at the dentist’s hours – will you be able to set and travel to appointments without changing up your own schedule too drastically? While convenience is unlikely to be your top priority in picking a dentist, it can help make the choice between options that can otherwise do an equally good job of meeting your dental care needs. * Endodontics – This field covers specialty procedures including root canals, cracks in teeth, and similar treatments. * Orthodontics – This is the correction of crooked teeth. Braces are an orthodontic specialty. Orthodontists are particularly unlikely to handle general care dentistry. * Pediatric Dentistry – Specialists in the care of children’s teeth. Usually – but not always – the same office can provide general services to children and adults. * Periodontics – This field includes gum and jaw treatment and loose tooth extraction. * Prosthodontics – This specialty includes implants, dentures, prosthetic teeth, and other permanent appliances.